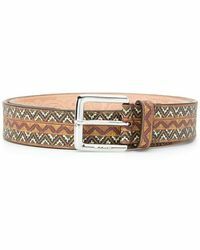 Founded in 1968 Italian fashion brand Etro is best known for its eclectic mix of kaleidoscopic prints, rich fabrics, bohemian influences and iconic paisley motif. 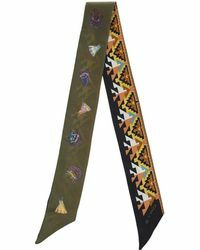 Since its creation the house has grown to become one of the most famous family-owned fashion businesses, expanding to include menswear, womenswear, accessories, homewear and fragrances. 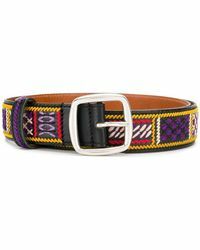 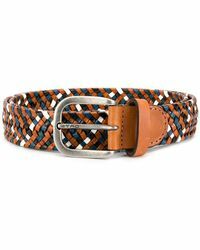 With a large men's accessories collection made from the finest luxury Italian materials, Etro belts are available in everything from classic adjustable leather styles to more unusual printed and woven designs. 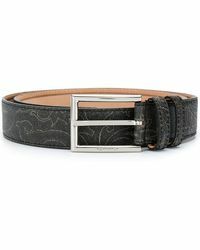 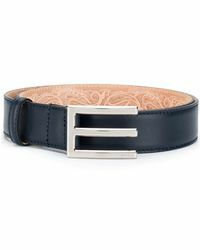 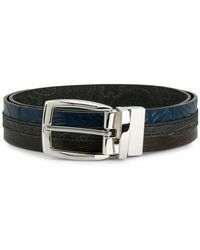 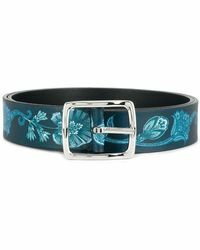 Add an Etro belt to your look to introduce a touch of classic 70s glamor.